The best way to get close to North Korea without getting shot, is to get on a boat tour at Ji'an waterfront. 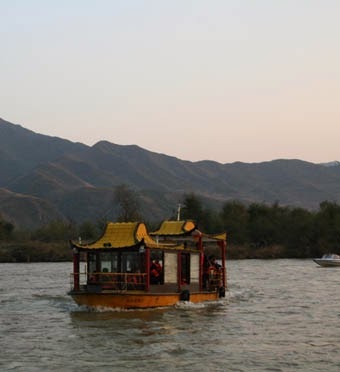 There are speedboat tours which range in price from 25RMB (7.8km) to 360RMB (108km). Although you’ll be going so fast you won’t see so much. Another option is to take a slower boat (25RMB ~30minutes) that goes right up to the North Korean shore and you’ll be able to see soldiers doing drills and people hurriedly walking along the riverside road. If the borderline runs through the middle of the river, you will definitely, definitely cross it, meaning that technically, you've been to North Korea! 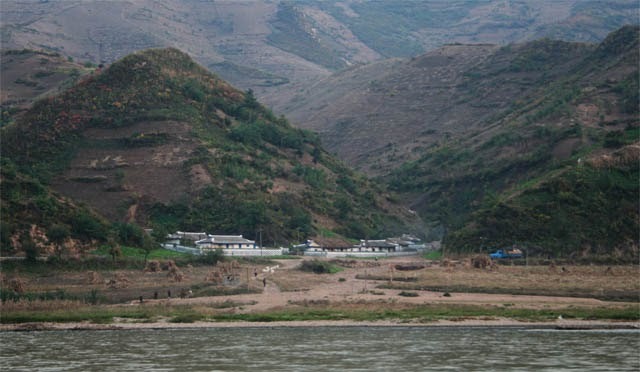 If you want to see a North Korean city, you can take a taxi (15RMB one way) to the Ji’an Yalu River Border Railway Bridge(集安鸭绿江国境铁路大桥) which connects Ji'an to Manpo(만포시/滿浦市). As you would expect from North Korea's sixth city, it looks pretty run-down and undeveloped. 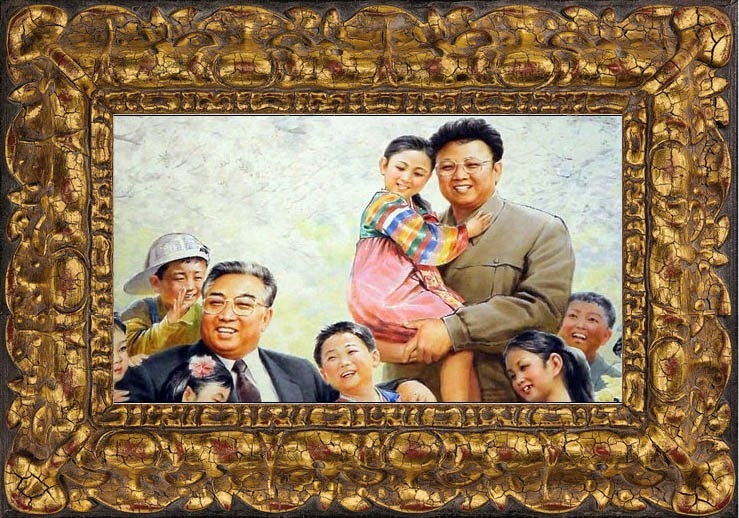 But without actually entering the country, its probably the closest you'll get to experiencing North Korea. Unfortunately, most foreigners are not allowed access to the bridge. Chinese people can walk up to the middle, of course after buying an entrance ticket. Every tourist shop and stall sells different North Korean banknotes and coins, at silly tourist prices. At the waterfront find a small vendor and you can get 6 banknotes and 4 coins for 20RMB (try for less!). Although the money is unused, it looks like it isn't a fake because the serial numbers on identical banknotes are all different.